Review of the Corsair Gaming Lapboard for the K63 wireless keyboard. The CORSAIR Gaming Lapboard for the K63 Wireless Mechanical Gaming Keyboard is a great accessory for anyone who loves to play games on the move literally, mobile PC desktop gaming - For REAL. 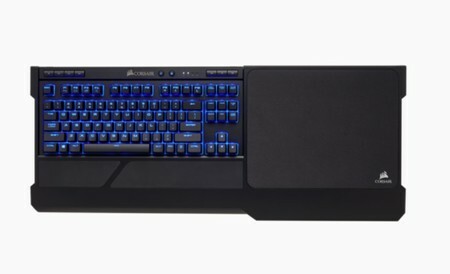 Corsair Gaming Lapboard for K63 kaufen.